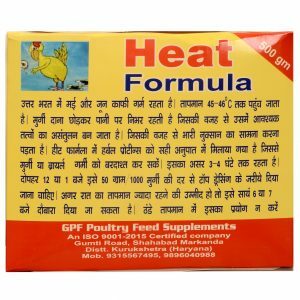 View cart “Poultry Heat Formula” has been added to your cart. Acidified Copper Sulfate for chickens has always been working as anti-fungal and mould inhibitor feed Supplement. In order to protect from fungal infections in the food pipe, we have prepared acidified copper sulphate for chicken. One needs to serve poultry copper supplements in water, so that it gets dissolved and taken by the species easily. In poultry farming, Acidified Copper sulfate for chickens is widely used against Anemia. FCR is very much improved in Broilers and layers when the Feed is incorporated with poultry copper supplements. 100 gm/quintal of Feed is the dose. The quality of copper sulphate for chickens always matter for the best results. Due to increase in the rate of diseases in chickens, veterinary doctors highly recommend Copper sulfate for poultry. The Rate of copper sulfate for poultry is 300/- Kg. 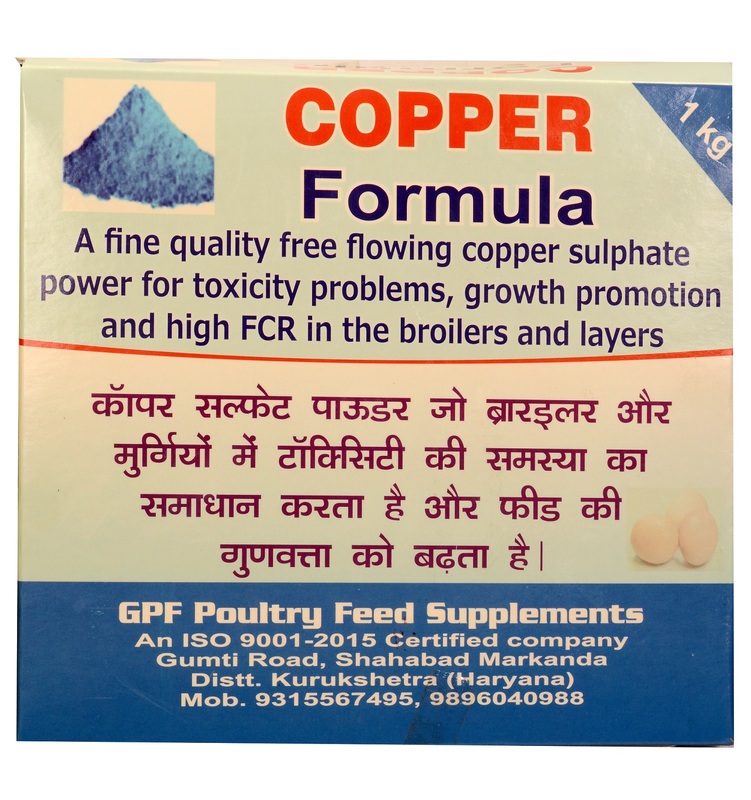 the one who are interested in copper sulphate for poultry can visit our website www.gpfindia.in and make an easy purchase of our acidified copper sulfate poultry supplement a.k.a. 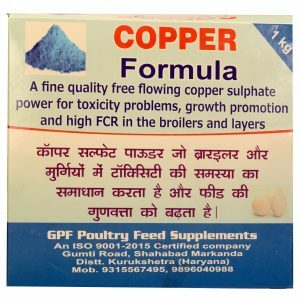 copper sulphate for chickens. Due to instant results our acidified copper sulfate poultry supplement, we are well known in the market. Moreover, we do not use any additives to prepare acidified copper sulfate for chickens. Note: Customers should not get confused with copper sulphate for chickens and copper sulfate for chickens. 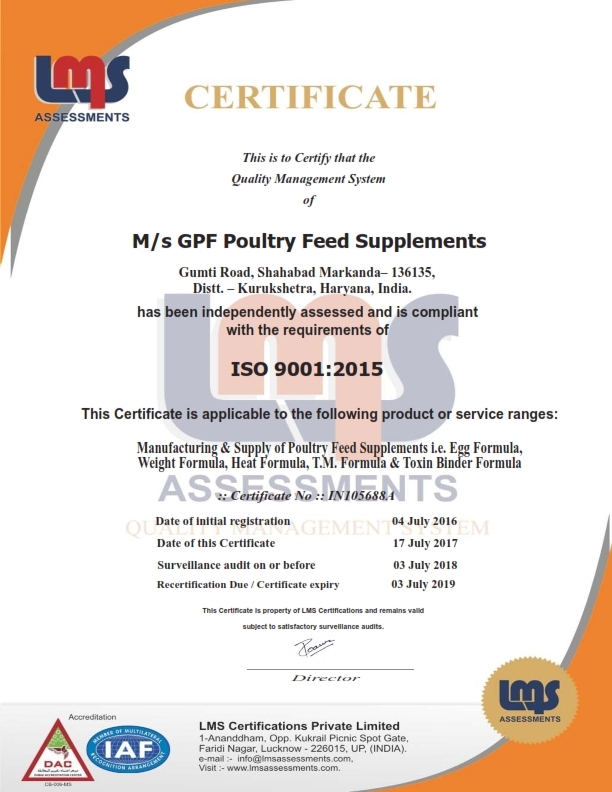 These both are same poultry copper supplement services of our company. One can easily take benefits of our acidified copper sulfate poultry products so as to increase the productivity of your farm. The best qualities of copper sulfate for poultry products are readily available here.